Faculty-led study abroad programs take professors to distant continents for weeks or months at a time. They teach classes to Carson College students and forge lasting relationships with scholars from other nations. They take students on tours of spectacular destinations. Best of all, they witness their students transform into global citizens. 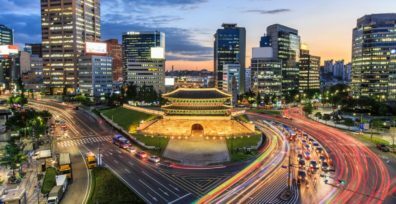 South Korea is an ideal location for learning about the business of leading technology companies. 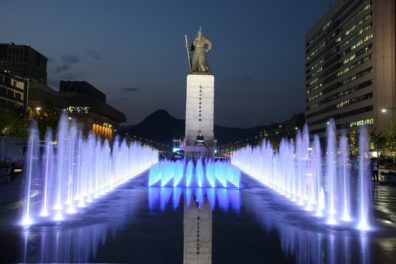 It is one of the unique high-income developed country with an emerging economy (Standard & Poor, 2011) and home of some of the most respected companies in the world such as Samsung, LG, and Hyundai, among others. South Korea is also one of the world’s oldest civilizations with a history of nearly 5,000 years. Its rich cultural heritage makes South Korea an excellent location for studying Asian culture and business. 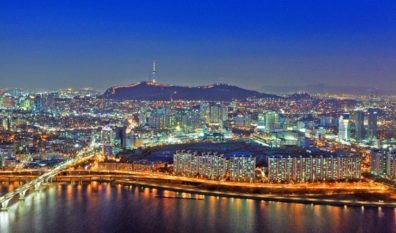 The Business in South Korea Program of the Carson College of Business is offered in conjunction with the International Summer Campus (ISC) of South Korea University in Seoul. 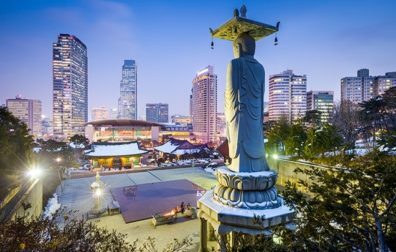 Seoul is the capital of South Korea with an exciting city-life, and nearby beaches and mountain ranges. Many Fortune 500 companies are headquartered in Seoul and it also has branches of a number of global companies including JPMorgan Chase, Citibank, Microsoft, Intel, Starbucks, and, McDonalds, among others. 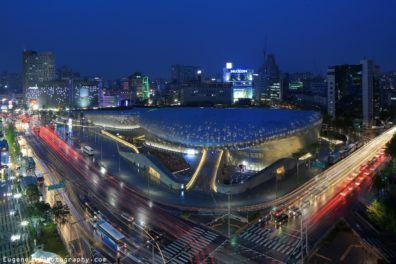 Seoul was selected as one of the 10 best cities in the world to be a student in 2016 by the Guardian, a British national daily newspaper. Students have opportunities to take courses from over 100 courses offered in English by the ISC and taught by about 60 instructors at renowned universities from all around the world, including the US, Great Britain, and Spain, among others. The ISC offers a buddy program so that students can get comfortable with the new environment. 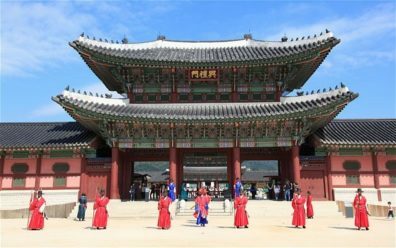 It also offers various weekend programs for cultural and social experiences by visiting the palaces, temples, and theme parks and learning hip-hop dancing, taekwondo, and K-Pop.